The Cinderella Collection is your little girl?s dream. The Victorian styling incorporates floral motif hardware; dark cherry finish and traditional carving details that will create the feeling of a room worth of a fairy tale princess. 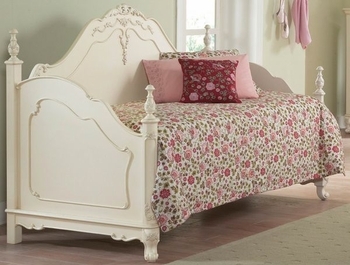 offering regular bed; daybed and canopy poster bed in both dark cherry and ecru painted white wash finishes.